Each of these components may fail. Let’s look at each component in more detail. The LED light on the disk was sometimes blinking earlier, but now it does not. If your external hard drive is no longer under warranty, you can disassemble it, pull the hard disk out and connect the disk to a PC. Please check this page (LINK) for video instructions on how to disassemble different external hard drives. If your disk is still under warranty, it is better to contact the store where you bought it, because disassembling the disk in this case automatically terminates the warranty . 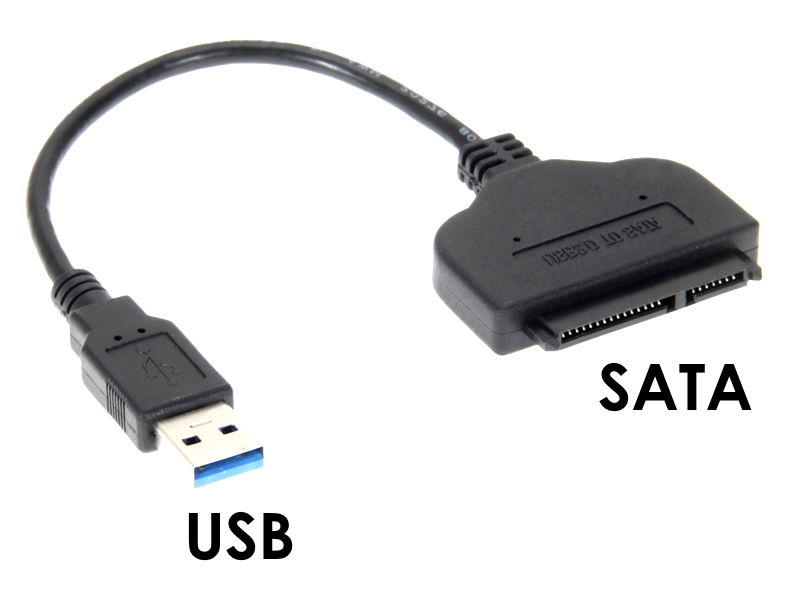 To connect a disk to a PC without disk enclosure you need a USB-to-SATA cable. Most likely, you do not have such a cable at hand, so you need to buy it in advance from a computer store. If the problem with the disk is really hidden in the enclosure, once you connect the disk to the PC you have access to the data. When you make sure that your data is intact, you can go back to the store and buy a new enclosure. Then place the disk into a new enclosure and use it as before. Filesystem failure is a quite common situation computer users face. This is because external disks are often disconnected from a computer without using the «safely remove hardware» mode – you just pull USB cable out and take out the drive. When you do so, you might get a situation where the filesystem have no time to write down any of its metadata. Doing so may result in a situation when the filesystem has no time to update the metadata and in its train, next time you insert the disk to a USB port you will get a message stating that the disk cannot be used and you need to format it. 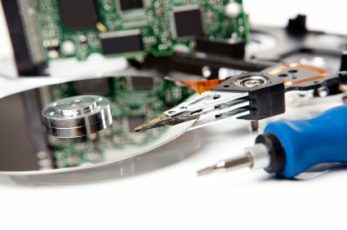 To get access to the data you need to download special external drive recovery software like ReclaiMe (www.ReclaiMe.com), run it, and save the recovered data to another storage device. Once the data is copied to a safe location, you can format the disk and continue to use it as before. This is the worst failure that you can face. The main symptoms of mechanical disk failure are unusual sounds coming from the disk — clicking, repeated spinning-up sounds and the like. The first thing you should think about is whether a disk is under warranty or not. If not, or the warranty is not important to you — remove the drive from the enclosure and connect it directly to the motherboard of the computer. Next, you need to find out whether the computer sees your disk. To do this, you need to open through My Computer — Manage — Disk Management (or simply type off diskmgmt in command line). If you see your disk in there, make an image file of the disk using special software, more information here. Once the disk image file is done, you either immediately get access to the data or need to use data recovery software. If the disk is not visible in the Disk Management, send it to a data recovery lab – because no options are left for DIY recovery.